Create game lovers this time I suguhkan article 10 game that I think would be a great game, some already in release and some will be released soon. Direct yach aja deh, the following top 10 best games my version. Crysis 2 is a continuation of Crysis (Crysis first), multiplayer games that will be released this year. Crysis 2 is a science fiction game "shooting video game" against the background of the future after the discovery of a spaceship from an island in the south china sea. At Cyrsis (First Crysis) this game is run with 2 machines, which are now on Crysis 2 became the first game to use with 3 game engine. There is no clear information about the storyline of Crysis 2, but according to some flyers game Crysis 2 incident occurred four years after the events of Crysis (crysisi first). The game is expected to be far more than Crysis (Crysis first). 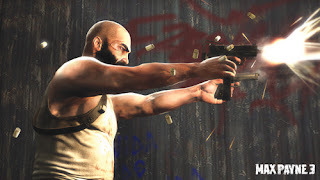 The game is famous because at the time of firing bullets in order to slow down time (slowmotion) so that it can be seen with the naked eye. 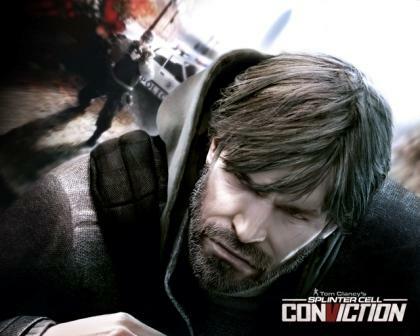 Clancy's Splinter Cell Conviction is the sequel to the fifth Splinter Cell series, this game was announced to appear in the first quarter of 2010. 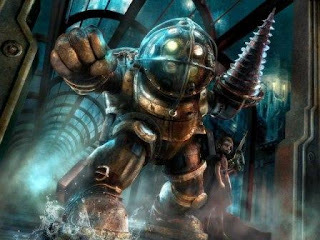 This game has been delayed several times, the game is supposed to be released in July 2009, but the date of release subsequently spent the first quarter of 2010. The story was developed with the atmosphere of the projected image in real time, Sam has changed and became more rapid and brutal. This game is a solo mission where Sam has left the NSA after an assassin to kill his daughter at first she thought her daughter's death was an accident at the beginning of Splinter Cell Double Agent, but he soon learned that her daughter was killed. 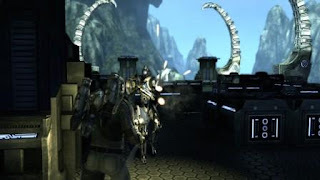 Singularity is a game of science fiction First-Person-shoting (FPS), this game will be released in 2010. Games are mainly focused on machine tools for the manipulation of time, with technical assistance where you can move objects through time, you can go in the future or the past and you can also use it as a weapon Powerful multi-purpose. Time handling device used to restore life, stasis (stability), and desire. The game took place in 2010 on a mysterious island where various scientific experiments that took place. 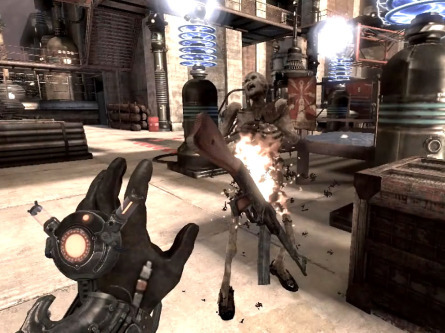 Shock Bios is the kind of games First-Person-shoting (SPF) was published in January 2010. This game tells the story of Big Daddies (Big Daddy), a character with super speed and super intelligence. Games drawn in 1970, 10 years after the first shock Bio, where there are several notifications are made about the kidnapping of young girls and the kidnappers. One of the abusers are single women who kidnap young girls and turn them to a creature like him. Dark Void is the game of science fiction action-adventured-game, the game is told with a cargo pilot named William Augustus Grey Bermuda triangle that fell on the mystical, from there he "teleport" to another parallel universe, where she met another man survivors. William and the others had survived the battle with an alien race known as the observers to return to Earth. Star craft 2, known as Wings of Liberty is a science fiction-military strategy game. The game was announced to be released in the first half of 2010. Background of this game is set in the 26th century, part of the Milky Way galaxy, this game has three species named Terran, Protoss, Zerg. Star Craft II, mainly focusing on the Terran, gaming plotted for years after the star craft. star craft 2 key designed for competitive strategy. Like the first Star Craft Star Craft 2 are designed for multiplayer. In Star Craft 2 has added some additional functions such as, the replay function, which allows players to record and review past games. Mass Effect is a science fiction game-role-playing game (RPG) which was released in early 2010. Mass Effect takes place 2 years after the first Mass Effect, and player choices made in the first Mass Effect will bring into Mass Effect 2. This game will feature a new alien species that should be the best assassin in the galaxy. There is a big change for the weapon, Commander Shepard has been upgraded with heavy weapons, new missiles and combat techniques. Game design has been improved, and some new planetary exploration vehicle was added. Command and Conquer is one of the best of real-time game-game-strategy. 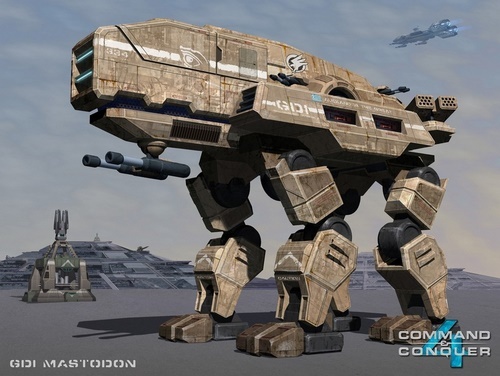 Command & Conquer 4 announced to be released in 2010, a few trailers have been released in July 2009. Command & Conquer 4 is considered as an online game, EA was also thinking about game mode offline. 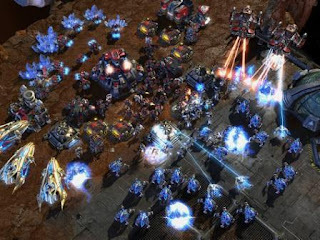 Like previous Command and Conquer, the player needs to build his own base, making the troops, funding base and attack the opponent's base. It is said that the game is different from previous Command and Conquer. FIFA 10 is the game of football. The release of this game has been delayed several times. Each regional version fifa will feature a different player on the cover, there are 30 leagues and more than 500 teams in fifa 10, and 41 national teams. Additions in FIFA 10 is the Russian Premier League, which has so far only been officially confirmed for the PC version. Latest Game Collection 2011 - Yapp, emang game is unmatched for fans of the game, with games to relieve stress and fatigue. Therefore ditahun I will update this new collection of lyrical ditahun last game of 2011. Crysis 2 Crysis name may already be among PC gamers. Yes, this game offers an exciting gaming experience for kualtas incredible graphics. It is said that the second version of this game is ready to be played later in 2011 with many updates. Killzone 3 is a game First Person Shooter (FPS), the most anticipated PlayStation 3 players in 2011. Guerrilla Games Game This arable promised would be in 3-dimensional mode and is compatible with the PlayStation Move. Uncharted 3 This game features an adventure around the world are enacted by the two main character, Nathan Drake and Victor Sullivan. The game is scheduled for implementation in November 2011 for the PlayStation 3 version. Mass Effect series has always been loved by the players, ranging from the interesting history, amazing quality graphics, unique game system that often captivate gamers. 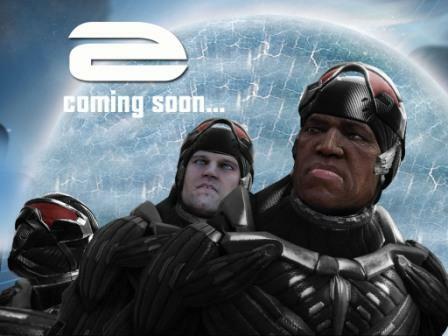 Based on a schedule set, Mass Effect 3 loan players visited the end of 2011. The gameplay is designed specifically for the PlayStation game does offer a single system. Media Molecule, the developer of Little Big Planet, even believe that this game could become a new platform. Initially scheduled for November 2010, but Little Big Planet 2 postponed to January 2011. Although the previous series was less successful on the market, but the latest version of Mortal Kombat fighting system offers an exciting, challenging, with great animation. So do not be surprised if his presence in 2010. At that time series Epic Games add a new gameplay mode titled Beast. This mode allows players to act as the Desert Army massacre of mankind. Gears of War 3 is scheduled for late 2011.
science fiction game takes 1957 as the era of the background of game viewing previous versions that could be successful, this latest version was supposedly going to collect a fairly high sales figures. It took some time for Bethesda Softworks to develop fifth series Elder Scrolls. This game plan would be released in February 2011 for PS3, Xbox 360 and PC. Although already beginning to its highest since 2007, but this game will be released in September 2011. Rabies is considered the successor to the success of Doom 3 which was victorious in some time ago. With a trailer video on YouTube diberedar, Deus Ex: Human Revolution appears to the system is an interesting game. This game plan will be released on PS3, Xbox 360 and PC in April 2011. This is a new post as a condition of registering at www.payperpost.com. after registering, I have to write sentences You can not beat a good euphonious. after completion will be checked by machine inspectors, and if you find that sentence so my registration process was successful. when you're done you can start your activities create good articles, and the results of your work will not be in the value of them for free you will get paid according to your article. want to try? get and download now game Iron Man 2 on your mobile phone with screen resolution 240x320. feel a hero in the world, goals for him, which have developed their own high-tech weapons to kill. In the field and in the air,Iron Man goes head-to-head against Ultimo, firepower, whiplash and other armed enemies who want to take it. But who really is the mastermind behind this sudden attack on Iron Man? Hell need the help of "War Machine" and shields to beat them all. The Harry Potter and the Half-Blood Prince game is the sixth installment in the popular Harry Potter series. 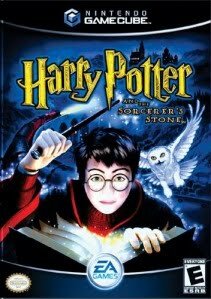 The title is based on the latest Harry Potter movie that is due to release mid July this year baring the same name. The latest release from EA is categorized in the third person action-adventure genre. The game is compatible with different console such as PS3, PS2, PSP, PC, Wii, DS and Xbox 360. Indian gamers and fans of the boy wizard would not be disappointed. The much-anticipated title includes both single player and multiplayer modes. Players can take on the role of any three of the main characters namely Harry, Ron or Hermoine. They must go on a mystical adventure to unravel the identity of the Half-Blood Prince. Gamers will even be able to explore and cast spells around the famous school of wizardry and witchcraft known as Hogwarts. Players can look forward to loads of potion making and wizard duels in the game. The PS2 and PC version of the game will cost Rs.999. For the Wii and Xbox 360, the title will be priced at Rs.1999 each. The PSP and PS3 version will be available for Rs.1599 and Rs.2499 respectively. The game will be distributed in India through Milestone Interactive Private Limited. Muggles can acquire the Harry Potter and the Half-Blood Prince game at major retail stores.